In a management organised vote staff at Clarion have supported union recognition. Around half the staff participated and a clear majority of 61.4% voted for recognition. This follows an earlier vote of Unite members who voted 98% in favour of industrial action in support of union rights. Clarion is a newly created organisation, formed from the merger of Circle Housing and Affinity Sutton. The restructuring and integration process create inevitable uncertainty for staff and this has been exacerbated by the new managements move to derecognise unions at Circle. In order that staff are supported through this process it is important that proper recognition is established across Clarion as soon as possible. 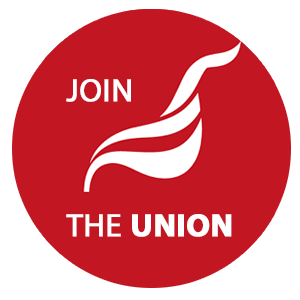 Unite urges Clarion management to move rapidly to assure staff that a joint union agreement for the new organisation will be agreed at the earliest opportunity. We have concerns about the process by which the vote was initiated without warning or consultation and we hope management will work with us in an open way in future. Staff have expressed concern that new contracts are being offered to new starters at Clarion with inferior terms and conditions. The new contracts represent a step backwards compared to both Circle and Affinity Sutton. Unite is concerned that new terms and conditions have been introduced without consultation or negotiation and believes that any reduction in terms and conditions is unjustified. Branch members in the sector, local councillors and others have expressed concern at the course that the new management team had taken and have sent solidarity to Clarion members. We thank them for their support and hope that the clear desire for union recognition expressed in this vote will lay the basis for progress.